At the start of the information session, the UN Participant Representatives asked the audience to describe their particular concerns and questions. 1) What chance is there for improvement in the apparent dysfunction in the relationship between the Board and the CEO? 2) What positive effects can be expected from the governance audit called for by General Assembly resolution 72/262? 3) What can participants and beneficiaries do to address the concerns expressed in the GA resolution? 4) What actions have been taken by the Fund Secretariat in response to Office of Internal Oversight Services (OIOS) audits on the pension backlog (2017/02); post IPAS implementation (2017/104); and irregularities in the management of contracts and procurement in the Fund Secretariat (2017/110)? 5) What actions have been taken by the Fund in response to issues contained in the GA resolution, i.e., a client grievance redressal system; and the actuarial valuation for which the Fund provided incorrect information? Extent of the backlog: Finally there is consensus on the extent of the backlog in that it has been acknowledged by the Fund that the backlog is not 230 as it had reported, but 15,000 cases, of which some 75 per cent are former UN staff or their survivors (including widows and orphans) and some 25 per cent are former UN Agency staff or their survivors. In response to a question from the audience, it was noted that the Deputy CEO of the Fund has decided that the Fund will no longer use the term “non actionable” to describe cases in the backlog; the term will simply be “backlog”. Missing documentation: A Participant Representative noted that the Fund faces several challenges and that it is a shared responsibility of the Fund, the releasing department, and the participant to ensure that missing documents are supplied and proper payment instructions are given. In this regard, a member of the audience noted that the Fund receives $20 million plus each biennium to perform the functions of the Secretariat for the UN family, including follow-up on missing documentation. Further, OIOS audit 2017/02 reported that there were several hundred completed case files at the time of the audit that were designated as ‘non-actionable’, i.e., incomplete. What was the situation with those cases? Another Participant Representative noted that the Fund is the local secretariat for staff in the UN family. It therefore has the responsibility for all follow-up actions in addition to maintenance of accounts throughout the lifetime of each participant. Backlog remedial measures: For the past two years the Fund has been attempting various remedial measures, including ensuring that certain functionalities are in the system; but there has not been much improvement. Direct upload of documents was needed to ensure they do not get lost. The IT system generates a letter when a document is missing, but the letters are not being forwarded to the former participant. There’s a new feature in the system that flags when a document is received. But despatch of the letter is the legal and correct way in accordance with procedures to notify of missing documentation. Action on the reference table has not been taken. More creative ways must be found to address the issue of missing documentation. The staff associations are willing to conduct information sessions to raise awareness. Participants and beneficiaries should contact the Fund about delays in payments. HR officers are trained and outreach is being conducted for HR officers. The Participant Representative/CCISUA president shared as background, that the staff associations began to have concerns when the Fund Secretariat management moved to change the rules related to staff management, financial matters, procurement and gifts. 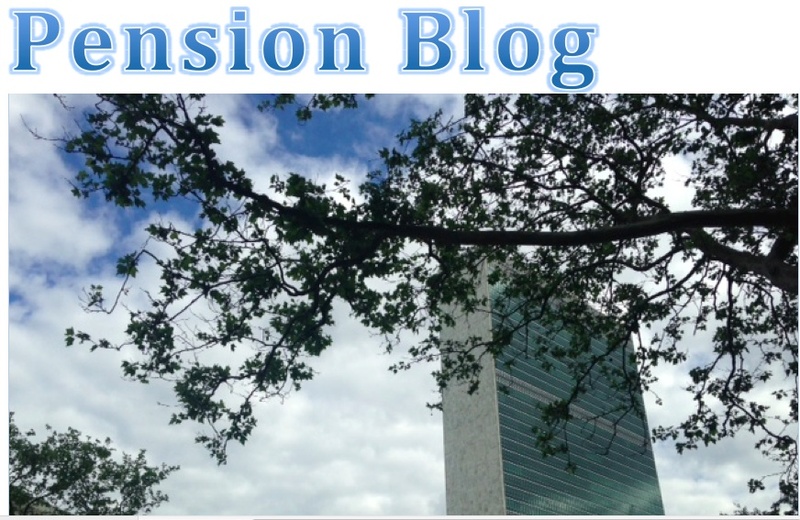 The Pension Board appeared not to take the matters seriously and, in fact, supported the CEO in his efforts, as did FAFICS (the Federation of Associations of Former International Civil Servants), the UN retiree organization. A new IT system was put in place before it was certified as ready and operational, thus causing the massive backlog in pension payments. Instead of voicing concerns, the Board accepted the IT problems as normal growing pains of any new IT system, and attributed the backlog to downsizing in UN missions, when in fact downsizing had occurred after the backlog had already accumulated. Dysfunction: The above concerns were a strong motivation for the UN Participant Representatives to run for election to the Board. At the first Board meeting they attended, the Board used underhanded tactics to exclude them. There are 33 members of the Board; but together with alternates and hangers-on, there are normally 70-80 people present at the Board, all with the right to speak. The Fund is very large, and the Board meets once per year for five days. There is little if any monitoring of activities during the rest of the year. Meetings are very formal, consisting of the reading of formal statements, thus precluding the possibility of genuine discussion of issues. Composition: the Board was set up as a tripartite body comprised of representatives of a) participants; b) governing bodies; and c) executive heads. UN members comprise two-thirds of contributors to the Fund (some 86,000) but their representatives have only one-third of the votes on the Board (12 of 33 seats.) In 2012, the GA recommended that the Board create a working group to consider its composition. The recommendation came back for enlarging the Board,and was not accepted. The current imbalance in Board composition has a direct negative impact on UN participants. The UN Agencies tend to many fewer outstanding separations while the bulk relate to UN staff. Unless the composition is changed to reflect the two-thirds to one-third ratio of UN and Agency participants, there will be no meaningful improvement in Fund operations. Lack of transparency: Internal forces on the Board are driving to block the Board from acting according to Fund rules. While the Standing Committee, according to Fund rules, is the only party that can take decisions while the Board is not in session, the Board Chair has recently been bypassing the Standing Committee in order to take decisions. As an example, the Chair through email, and despite the objections of some Board members, recently obtained a Board decision by majority vote, to set up a search committee to select a replacement for the Deputy CEO, thereby bypassing the Standing Committee. The Audit Committee is expected to audit the reports of OIOS and the Board of Auditors and come back to the Board with recommendations for follow up. OIOS audit reports (02; 104; and 110) were largely ignored by the Board. Neither the Secretary of the Board (the CEO) or the Chair shared the OIOS audits with Board members. The UN participant representatives circulated the audit reports to Board members and were admonished by the Chair of the Audit Committee on the basis that they were for the exclusive use of the Audit Committee. There is an issue with the Audit Committee in terms of the authority or respect that it accords to OIOS audit recommendations. According to Fund rules, OIOS is the internal auditor of the Fund. Yet there are many outstanding OIOS recommendations that remain unanswered or unaccepted and on which there is ultimately no action. Accountability regarding the implementation of OIOS recommendations needs to be emphasized. Note: In response to questions from the audience, the UN Participant Representatives noted that a) the CEO is ultimately responsible for the functioning of the Fund Secretariat; and b) the Assembly is the ultimate judicial body for issues of representation and oversight pertaining to the Board. FAFICS currently has six non-voting seats on the Board(four representatives and two alternates). When the Board was active concerning the payment backlog as it pertained to retirees, FAFICS was silent on the matter. In fact, a leaked email dated 1 June 2016 from the FAFICS president to OIOS showed that she tried to dissuade OIOS from carrying out an audit of the backlog in pension payments. Direct election by retirees of their representatives to the Board is required, as is the case with active staff (participants) who directly elect their representatives. Participant representatives are accountable to their constituents. The General Assembly has its own representatives on the Board, and the Secretary-General appoints the Executive Heads. There is a question of whether the GA and SG representatives have the best interests of the participants in mind. Board decisions are made by caucus and there is also a question of accountability across the three groups, and lobbying among member organizations. The above governance concerns are expected to be part of the focus of the audit to be conducted by OIOS called for by GA resolution 72/262 (paragraph 8), including a review of checks and balances between the Board and the Fund leadership. The Board has been asked to complete a survey and meet with the auditors. A preliminary report will be made available in the summer, and the final report will be submitted to the Assembly in the fall. It is hoped that the audit will be useful in providing the Assembly with ideas about how to address these concerns. A thorough review needs to be conducted, including how the Board can be made more efficient in monitoring the Fund’s performance; and how its 33 members can be brought in line with their weight in terms of the proportion of members they represent. Concerning Board of Auditor recommendations in this regard, someone in the Fund has been put in charge of this and it appears that the issue will be addressed through the current system, i.e, without procuring a new system. In the meantime, the Fund has improved its response to phone calls. The matter is being dealt with by the Audit Committee and a recommendation is expected in July at the Board meeting. As background, an actuarial valuation (estimate of Fund liabilities) is conducted every two years. Actuaries were engaged; but the auditors discovered that the information provided to the actuaries was incorrect. The actuaries were paid some $285, 000 although the valuation had to be scrapped. The Fund is currently not in possession of a correct valuation. The UN Participant Representatives had no specific information regarding actions taken by the Fund Secretariat to address weaknesses in IPAS that have caused an increase in manual processing, or susceptibility of the system and its infrastructure to security breaches (OIOS audit 2017/104). Nor did they have information on actions taken to address irregularities found in the management of contracts and procurement, specifically 78.2 per cent of a $2.2 million contract spent on non accounting work outside the contract (OIOS audit 2017/110). The Senior Communications Officer of the Fund, a member of the audience, stated that checks and balances between the Board and the Fund leadership existed in the form of six audits undertaken each year, alternatively related to regulations and budget, which were monitored by the Budget and Audit Committees. He also noted that the Fund’s March newsletter contained information about the 15,000 cases in the backlog (listed in the newsletter as "non actionable") and about the leadership of the Fund, i.e., that the CEO has been on extended sick leave since August 2017, and the Deputy CEO has announced that he will retire at the end of August 2018. While the Fund website does not link to OIOS audit reports, he said, information on follow-up to audit recommendations could be obtained from relevant staff in the Fund. i) “The Fund continues to implement the recommendations made by the Board of Auditors and the Office of Internal Oversight Services or OIOS in their various reports”.